Banksy Strikes has made a promising start to his racing career. Well named after the famous street artist Banksy being by Wanted out of Art and Craft the now 3 year old has been patiently handled to date. 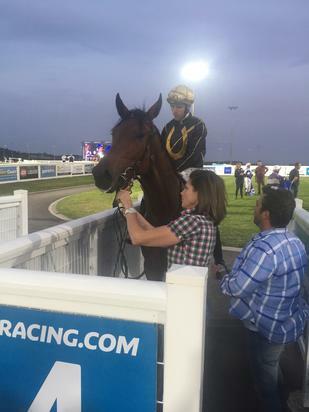 Still learning his craft he performed well 2nd up to finish 4th in a good maiden at Pakenham. Returning to Pakenham he looked poised to win but did not quite let down. Subsequently pulling up with back soreness. He is back on track now and on what he has shown to date expecting him to bowl over his maiden sooner rather than later.